Root canal treatment (also called endodontics) is required when the blood or nerve supply of the tooth (known as the pulp) is infected through decay or injury. 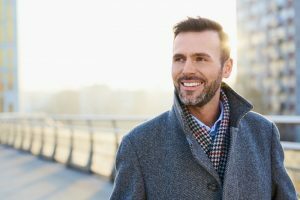 At Thurloe Street Dental and Implant Centre, our dentists help to relieve you of discomfort, using the gentlest and most advanced dental techniques. An internal tooth root infection occurs when bacteria enter the inside of a tooth, perhaps through a crack in the external enamel or after a tooth breakage. Root canal treatment removes the bacteria and restores your oral health. Patients experiencing a root infection may have increased sensitivity, pain when eating, swelling or discoloration. Prior to receiving root canal treatment, your dentist will discuss the procedure with you and the steps that will be taken. In simple terms, your dentist will need to remove the top part of your tooth to access the internal infection. The infection will be removed and the inside of the tooth will be cleaned. The dentist may also use a special disinfectant to completely remove bacteria. Once these steps have been taken and your root is free of infection, the affected tooth will be repaired and sealed. Please click here or call 020 7584 5551 to book your appointment now.